IMAGINARY was coming to Kaohsiung in December last year for the first time in Taiwan. Now it will be soon moving to Taipei. The exhibition in Taipei will take place at the National Taiwan Science Education Center (NTSEC). 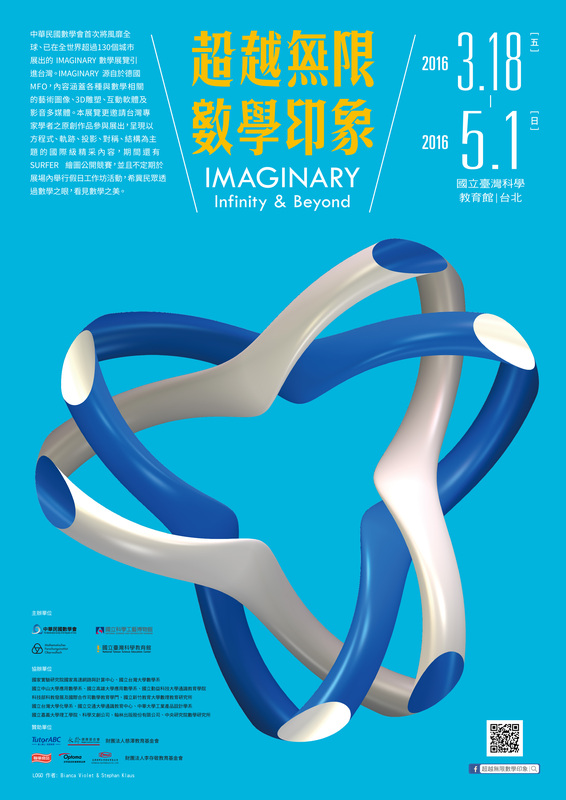 The exhibition demonstrates a variety of mathematical content from IMAGINARY and invited some experts in Taiwan to contribute their works combining mathematics and arts. Based on the experience in Kaohsiung, the Taipei Exhibition will have a slight modification. In particular, we add some new content contributed by Rinus Roelofs, a mathematical artist. For details about Rinus, please visit his website.